Karisma Hotels Adriatic Montenegro, which operates within the Karisma Hotels & Resorts system, is the only one to have submitted a bid for the lease of the property of HTP Ulcinj Riviera within the deadline, as confirmed to Vijesti by the tender committee. The secretary of the tender committee for the valorization of tourism locations, Nada Pavicevic, said for Vijesti that the bid of Karisma had been opened at the session and that it would be “analyzed in detail by legal and financial advisers, together with the members of the committee, on which a report about the formal validity of the bid will be prepared”. The public invitation for the lease of Ulcinj Riviera opened on June 21 and closed on July 21, 2017. Representatives of the minority shareholders submitted a claim at the Commercial Court asking for the decision of the GM of Ulcinj Riviera on the leasing of hotels Olympic, Bellevue and camp Neptun for 30 years to be canceled. Following the public expression of intent of Karisma to invest EUR 280 million in Ulcinj Riviera, small shareholders from Montenegro, Croatia and Slovenia expressed dissatisfaction about the fact that the Government had set an investment threshold of merely EUR 10 million for a potential investor. Karisma Hotels & Resorts previously said that they wanted to invest in Montenegrin tourism, not just in Ulcinj Riviera, but in other seaside and northern Montenegro locations. Earlier, they announced an investment of around EUR 20 million in the renovation of Olympic and Bellevue, as well as the construction of 400 new rooms in the next three to five years, through an investment of around EUR 60 million. They promised that they would start renovating Olympic and Bellevue immediately and open them as soon as possible if they won the tender. 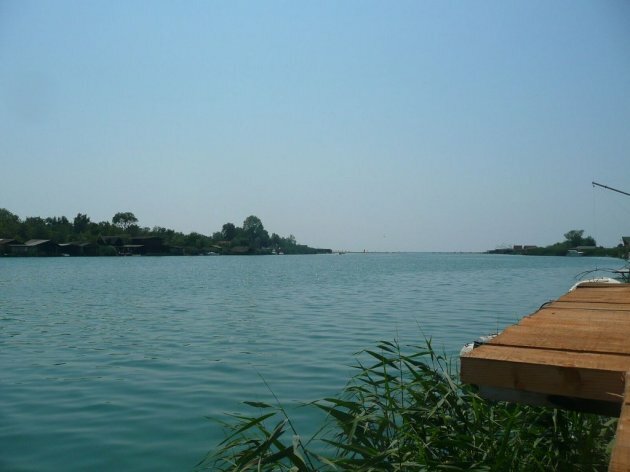 Regarding Ada Bojana, they plan to invest EUR 200 million and build 1,500 rooms, sports courts and congress halls in the first phase in four to five years, whereas 20-25% of the capacities would be open throughout the year for the purpose of top athletes' training. According to the Central Register of Business Entities, the company was founded on May 9, 2017, and is 100% owned by Karisma Resorts International S.A. The CEO of the company is Nemanja Kostic, and the seat is located in the Capital Plaza business center. Karisma Hotels Adriatic has already taken over the Ruza Vjetrova hotel in Dobra Voda near Bar, with 114 rooms, which operates under the new name of Wind Rose, which they also plan to extend to 300 rooms by 2021. KHA has hotels in Makarska and the island of Calamotta, and it is also planning a summer resort in Plat near Dubrovnik and one in Belgrade as well.